So here we go again, an idea thought up in the upper offices of Labour with merit, executed like those making the decisions are in their first day of politics. I say ‘merit’ because I think many people are in agreement with the idea of foreign money (from whatever country) flooding into our housing market will indeed put pressure on locals (of any ethnicity) when it comes to buying houses. A register of international buyers is not an idea that any political party opposes and in fact National will eventually bring in and then take the kudos for doing so. However good ideas every day, whether their good business ideas, good relationship ideas, good political ideas or any kind of ideas, fall over due to those trying to impose them. Usually with political ideas it’s the execution that fails that party and this is a classic example of that. There is also the consideration of those opposing Labour and their ability to change the narrative of the issue which National has done perfectly, but not without help. My sources inform me that Labour gave the policy to the New Zealand Herald several days before they released it, embargoed, to fact check and prepare themselves to write about it once Labour made the issue known publicly and I am reliably informed that the Herald then leaked the information to National. What this did is give National the ability to get ahead of what Labour was doing and formulate a strategy to combat what Labour was trying to say. For future reference National poll everything, they research and get public opinion on everything which usually takes two days. If in the future National comes out with a cast iron position on a major Labour or Greens policy that is not yet in the public domain then it’s a pretty safe bet they have been leaked the information and have already tested it. In saying all of that the way Labour has handled this information is sloppy and amateurish and even though National got ahead of the release, it still only too Lisa Owen on The Nation 8 minutes to accuse Phil Twyford and Labour of playing the race card all without the polling that National did, she came to the same conclusion. The conversation about international money influencing our housing market is valid…very valid…but what Labour has done is basically give a green light to every red-neck, right wing, talkback calling bigot fodder to continue to treat the Asian community like second class citizens. If you don’t believe me just have a read of, Masterton native, Raybon Kan’s article from Wednesday. And now we have groups like HouGarden.com, one of NZs biggest websites for Chinese immigrants to find property in NZ, stating that Chinese buying in NZ are looking for better education opportunities for their children, not investments as there are much better investments elsewhere. Their evidence for this is that when people are on their site some of the most searched words were “school zone, double grammar zone, Maclean, Westlake, Rangitoto and Auckland Grammar.” This again is a terrible news item for Labour but not quite as bad as the leaker of the information from Barfoots now losing his job…wonder how that will sit with the core Union member Labour supporter. Finally, I am also dismayed that no one yet has actually offered a solution to the housing bubble in Auckland. So Labour is promising to ban international speculators, fair enough, but my question, as always, is “then what?” The average house price in Auckland is approaching $800,000 (see why we moved to Dunedin) and if this move ends up ‘correcting the market, then what about all those people who have bought in this market and just had $200,000** wiped off their equity…what about them? 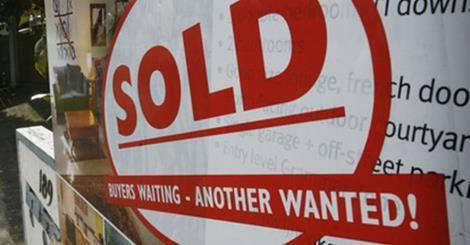 Or if the prices of houses still remain near $800,000 on average how are first time home buyers going to afford that? An exceptional speech made by 91 year old veteran Harry Smith who has a message for the Labour Party in the UK, which I think needs to be listened to by the Labour Party of NZ, which was why he voted for Labour first in 1945. Life in the UK pre 1945 had a healthcare system that “was for the privileged few”…sound familiar America? Profits before people in the healthcare system is a modern evil. It is also idiotic which you can do by simply Googling healthcare outcomes in USA. Look at where they sit on any OECD related graph, at, or around, the bottom in things like infant mortality and life expectancy. Public healthcare helps the people of the country, its helps the most vulnerable most of all, Obamacare is good for America and anyone who things otherwise either has an agenda based on profit, or they are ill informed. A country without a decent public healthcare system is uncivilised and barbarous. As a side note, if the Labour Party of NZ don’t get to grips with the message that Mr. Smith shares which is all based around why people used to vote for the left, then they are doomed to inhabit the cross benches for a very long time. Mr. Smith explains where the left has come from, you need to go back there to re-win your support. It has just been revealed that David Culiffe either has had a memory lapse that John Banks would be embarrassed by, or he has lied to the people of NZ. Labour and David Cunliffe has been hammering National over various issues surround businessman Donghua Liu and now it appears that while slamming National’s connection to ‘money for access’ and Maurice Williamson’s resignation over contacting police about an assault claims against Mr. Liu, all the while Mr. Cunliffe had ‘forgotten’ that he had written a letter of support for Mr. Liu to Immigration NZ. You can see the letter here. 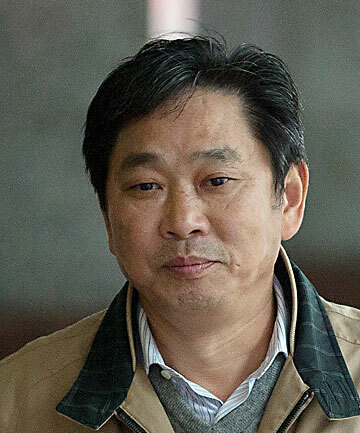 Asked yesterday if he was concerned Liu was granted permanent residency – against official advice – Cunliffe said: ”Look I am not familiar with the circumstances of that decision. and I don’t think it is appropriate for us to go back and try and re-visit every single immigration decision that has ever been made. It will be interesting to see what comes of the press conference at 2.45pm, but at first glance you have to think this is the end for David Cunliffe. If not officially, then certainly in the polls and the eyes on NZ. John Key must be laughing his arse off. Should he step aside? Probably yes. Will he step aside? Probably no. What will the Labour Caucus do? Probably start in all seriousness to look to 2017. What’s Kim Dotcom’s end game here? I find the idea of Kim Dotcom forming a political party a fascinating plot in this years drama that is the 2014 election. I want to know what Kim’s end game is, and I wonder if there is a chance that his involvement with the election this year will aid National in being re-elected, so I ponder again what his end game is. I see now that Russell Norman has asked the same questions as it was revealed on Newstalk ZB yesterday that he twice approached Mr. Dotcom asking him not to form a party as it would split the vote on the left. An astute observation by Dr. Norman who is fast becoming one of the more enlightened MPs we have in parliament. There is such an interesting sub-text here that will only be revealed if the questions are put to Mr. Dotcom himself. Why are you bankrolling a political party when you cannot be elected to parliament? What are you main ambitions behind the party? Are you wanting a change of government? If so are you not concerned that your party will take votes away from the left, especially some of the Greens youth vote? Comedian Chris Brain pondered at the end of 2013 during the year in review episode of The Slightly Correct Political Show why the left has held up Kim Dotcom as a hero saying it strange that they would hold up someone as a poster boy who is ‘a free market capitalist who doesn’t believe particularly in protecting intellectual property.’ Think what the left has stood up for in the past term with protests against legislation around movie making, Helen Clark’s famous connection to the art and grants has intertwined the artistic community with the left. That on top of his connections with the right via John Banks and ACT makes this, to me, a salacious part of the political year. So again I ponder what is the end game here. Kim Dotcom has apparently surrounded himself with talented, albeit far far left, political consultants like Martyn ‘Bomber’ Bradbury, who is talented and smart (and a nice guy all in all) but has an overwhelming dislike for the right and is an ideologue and a zealot whose perceptions sometimes clouds his judgements. ‘Bomber’ is someone that John Key could rightfully label someone with a ‘far left agenda’ and my boggle is to see how that can possibly work to oust the incumbent government. So if we agree (and you might now) that the Internet Party will attract young left voters, and if one of Kim Dotcom’s ambitions is to see a change of government then the stars do not seem to align…so is it that I am wrong thinking the Internet Party will fall short, is it that the Internet Party is deluded in what they are thinking, or is it that Kim Dotcom has an ulterior agenda with his apparent right wing, free market, connections. Full disclosure. 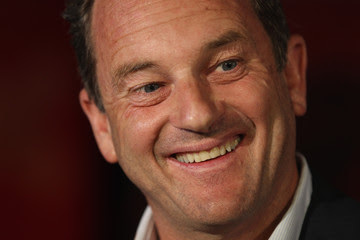 I connected with Vikram Kumar and Finn Batato about helping Mr. Dotcom with some ideas and they’ve obviously chosen to go a different way which is fine…but they way they are now travelling is…confusing…to say the least. I just don’t know what’s going to happen from here…but I am intrigued! Mr. Key also sees a scenario where the Conservatives could be an option even though he’ll acknowledge that they have “policy differences” it doesn’t mean they also couldn’t find some common ground. Unsurprisingly the Prime Minister will rule out Labour, The Greens and Mana as potential coalition partners however with regards to NZ First there is the hint of a slight softening. Mr Key will say that a “relationship was very unlikely” but ultimately he will not rule out the possibility entirely prior to the election. Prime Minister John Key today set out his decision on which parties National will consider working with following this year’s General Election. 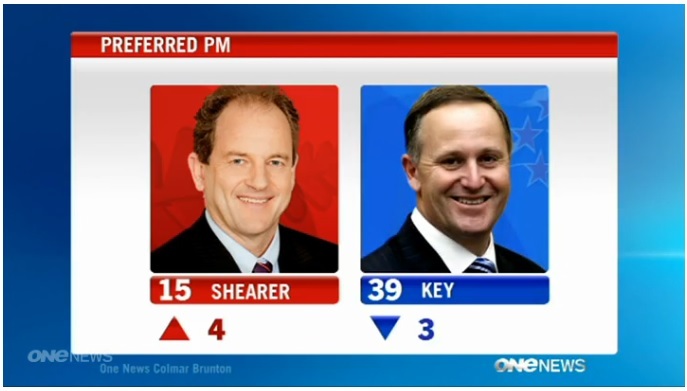 “MMP makes it likely that every election will be a tight contest,” Mr Key says. “That means it’s also likely that following the election we will need to work collaboratively with other parties to form a stable Government. “First and foremost, National will be campaigning hard for every party vote it can win, because that puts us in the best position to continue the positive policy direction New Zealand is on. “Put simply, the higher National’s party vote, the more options we have. Mr Key says that given the right electoral circumstances, his preference would be to continue working with the current three partners to the Government, which are ACT, the Māori Party and United Future. What will this mean, well surely if the deal wasn’t sealed before it is now that ACT is gone from the 2014 election making it even harder for National to be re-elected. ACT and the Maori Party are somewhat in disarray and no matter how keen and confident they are I don’t think the Conservatives are able to step into the fold to take ACT’s place. 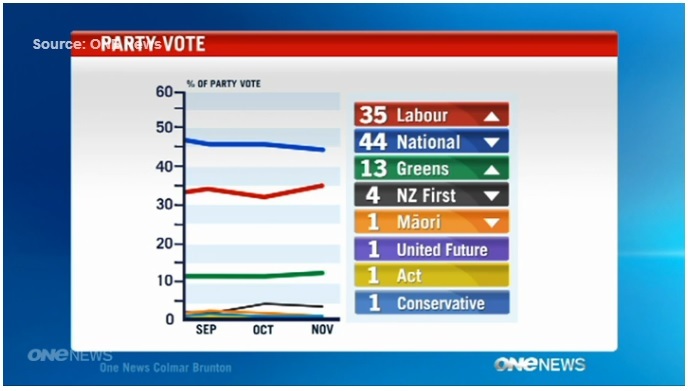 John Banks gone, ACT gone, Maori Party to lose a couple more seats, no coalition partner to take their place. Greens increasing everyday and Labour a small resurgent period since Cunliffe comes on board makes it an interesting 12 months. I called it several months ago albeit with some different variables but I’ll stand by it and say it again now. Labour to win in 2014.